Thanksgiving Day, also referred to colloquially as the “Turkey Day” in America is primarily a secular harvest festival celebrated in several countries around the world and especially in America with much pomp and fervour. Celebrated on the fourth Thursday of November, Americans thank one and other and God for all the good things in their lives on this day. People dine on traditional mouth-watering American delicacies such as roasted turkey, mashed potatoes, stuffing, cranberry sauce and pumpkin pie. Infact, most Americans enjoy playing soccer during this time and children explore their creative skills and make a variety of festive crafts to commemorate this day. However, the Thanksgiving tradition is way deeper than merely feasting and merrymaking. So let’s go down the history lane and take a look at the origins of this harvest festival. 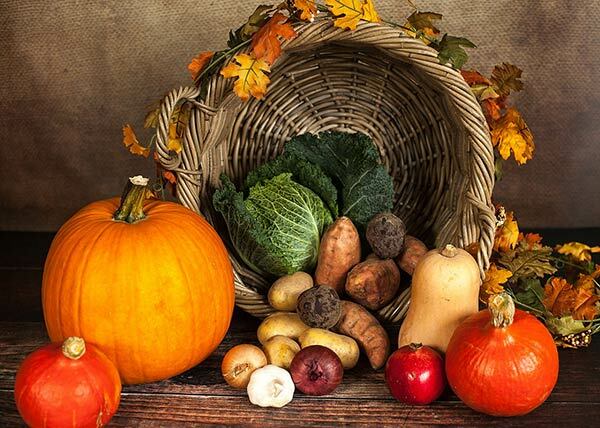 The first Thanksgiving Day was celebrated in the year 1621. The religious refugees from England who travelled to Plymouth, Massachusetts had their first successful corn harvest. Hence they invited the local native American tribe Wampanoag to join them in their festivities. This feast lasted for three days, with local delicacies such as squash or pumpkin, corns, beans, goose, lobster and deer. The pilgrims celebrated their second Thanksgiving in 1623, after facing a long drought that threatened that year’s harvest. During the American Revolution (1765 -1783), Congress designated one or more days of thanksgiving in a year. America’s first president, George Washington declared a national day of thanks and prayer in 1789. In 1817, New York became the first state to officially adopt Thanksgiving holiday while the American South remained totally unaware of the tradition. In 1827, magazine editor Sarah Josepha Buell Hale and author of the nursery rhyme “Mary Had a Little Lamb” launched a campaign to establish Thanksgiving as a national holiday. Infact, she wrote many letters to the presidents and other politicians for almost 36 years. In 1863, the then President Abraham Lincoln finally agreed to Hale’s request. America was also going through the civil war that time. Lincoln then scheduled Thanksgiving for the final Thursday in November, and it was celebrated on that particular day every year almost until 1939. Franklin D. Roosevelt the then President moved the holiday up a week in order to make more retail sales since it was the time of Great Depression. Met with opposition the president signed a bill in 1941 making Thanksgiving the fourth Thursday in November. Ever since then, Thanksgiving Day marks the beginning of the holiday season for most Americans culminating with Christmas or New Year.